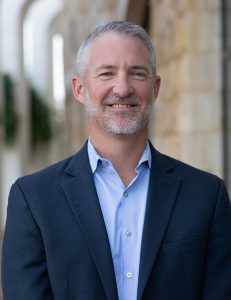 Chris Judd was elected as the District 6 (D6) Councilmember in the August 2018 Primary Election to serve a four-year term beginning January 1, 2019. Chris is a native Arizonan and graduate of Arizona State University. He has been part of the Surprise business community since the mid-’90s, and he and his family of five have been coming home to Surprise for over a decade. As an independent businessman and former owner and manager of local small businesses, Chris was very active with the Rotary Club of Surprise, and the Surprise Regional Chamber of Commerce. He served as the Rotary Club President in 2015-2016, and currently serves on the Board of Directors for the Rotary Club of Surprise Community Foundation. He previously served as Chairman of Taste of Surprise, a charity event organized by the Rotary Club and run entirely by volunteers. Under Chris’s leadership, Taste of Surprise moved to Surprise Stadium to handle the growing crowds. It has grown into a must-attend annual event, bringing the community together and generating much needed funds for several charities that work right here in Surprise. Chris began working in Surprise in 1996, right out of college, and spent 14 years as General Manager of a local small manufacturing plant. There he learned about the many challenges that businesses – especially small businesses – face, and how difficult it can be to juggle all of the factors required to make a business successful, profitable, and a good place to work. He took that knowledge and experience, and applied it to a small business of his own, a Surprise-based trucking company that served local and long-haul clients. Chris is employed by Liberty Mutual Insurance. He holds a professional designation as a Life Underwriter Training Council Fellowship from the College for Financial Planning, as well as a Bachelor of Science degree from ASU. Chris and his wife Jenna have been married for over 20 years, and are most proud of the work they’ve done, and are doing, raising their three wonderful daughters. The family loves the great outdoors and they spend as much time as they can together camping and hiking in and around the beautiful backcountry of Arizona’s deserts, mountains, and forests.